A split day across aerial and pole, with a bit of devilish (Hah) photoshopping in one of the photos to make Lauren up to look like the demon that she would have looked like if she’d remembered to bring the prosthetics and makeup… You see Lauren and two of her instructors (The wonderful Cakeface and the delightful Nana) will be performing a new cube triple act this year, and needed an image to start slapping on posters. Also notable is Gemma C killing it on no fewer than 4 pieces of equipment – talk about multitasking. 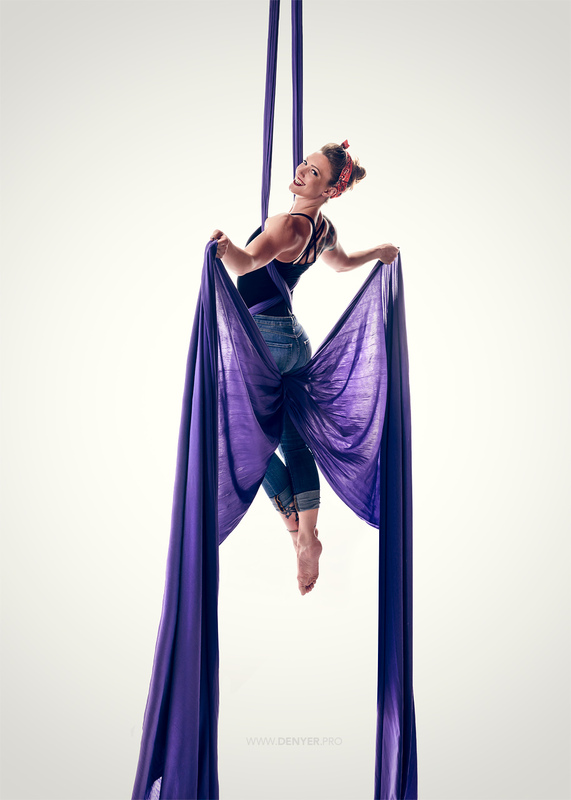 Trapeze, Silks, Lyra and Pole in a single shoot in several outfits. Commitment if ever I’ve seen it! An thoroughly enjoyable day in the company of 7 maniacs that really, really know their stuff – I can’t wait for the next one!